on a part-time or full-time basis. 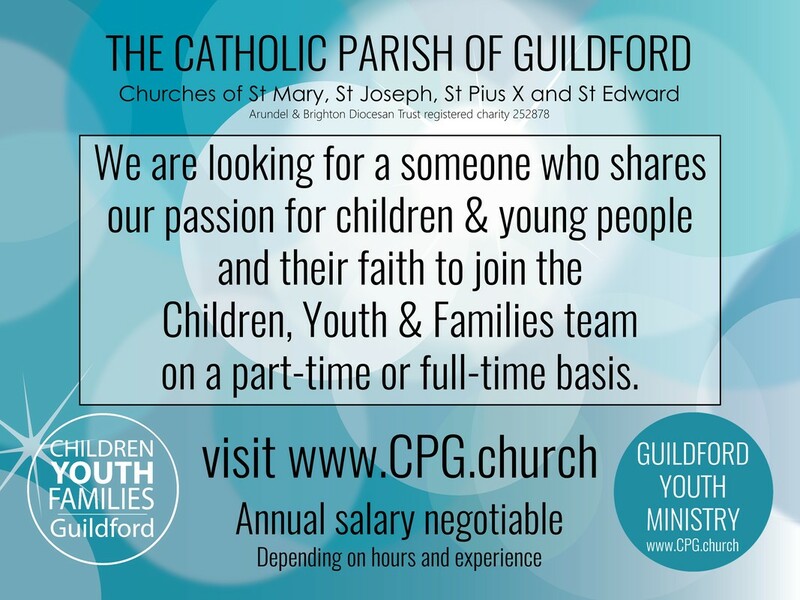 The Catholic Parish of Guildford is passionate about its children & young people and helping them find their place in the life of the Church. Our vision is to see all children and young people grow into the fullness of who they are called to be in all aspects of their lives, taking seriously their personal and spiritual growth. We are seeking to appoint someone who shares that same passion for children and young people. Working hours are flexible and negotiable to suit the right person. There is a Genuine Occupational Requirement that the post-holder is a practising Catholic. Applicants will be subject to an Enhanced DBS clearance. Have a degree level qualification or equivalent; or on their way to having a degree level qualification. Annual salary negotiable (depending on hours and experience). Interested in the role but not sure whether you should apply?